Makers Local 256 will be hosting an Open House on Saturday, December 5th, 2009! We’re looking forward to seeing everyone, including the members of the local GOLD (Graduates of the Last Decade) chapter of the IEEE! The Make Shop will feature a swap meet, and will be showing off completed and near-completion projects! For those interested in helping to prepare for the Open House, we’ll be having a shop cleanup day on Friday, December 4th. 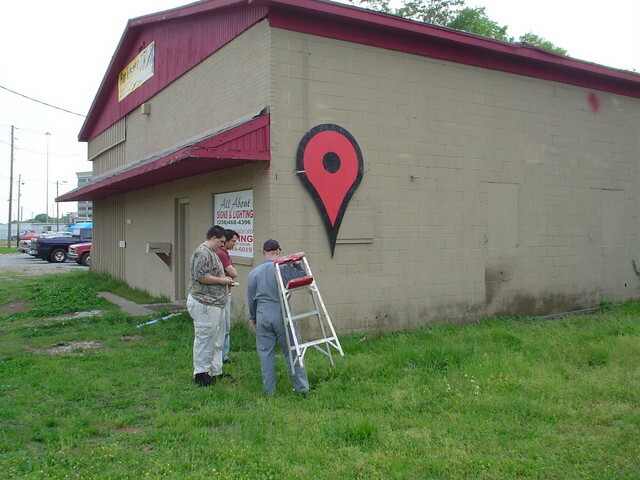 Makers Local has been Geocached! Recently, Ratmandu, one of our members noticed some strange people lurking around the outside of the Make Shop. Hobo with a knife? No! Geocachers! The Makers Local 256 will be holding board elections at the upcoming General Meeting next week, which will be Tuesday 10/20. The size of the board is no longer restricted to 10 members, it can be as small as three, or as large as needs be. To be elected to the board, you must receive at least 50% ‘yay’ votes from those voting. Only members may vote in the board elections. Voting will be secret ballot.